I for one am a pretty big fan of the burgeoning craft coffee revolution. Now more than ever there are several options for a quality latté or pour over, as new shops devoted to high standards continue to open and thrive. 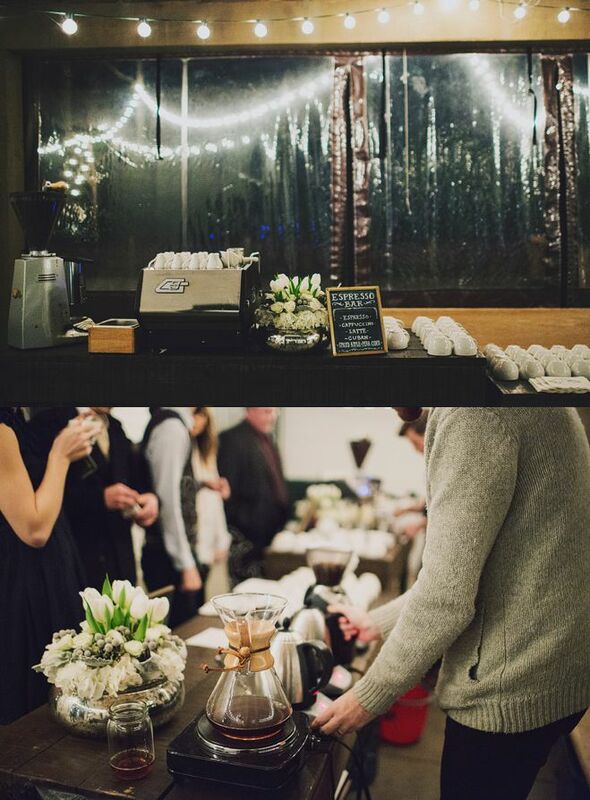 Personally I can't imagine planning a wedding without including a coffee and espresso bar. Luckily, we don't have to! 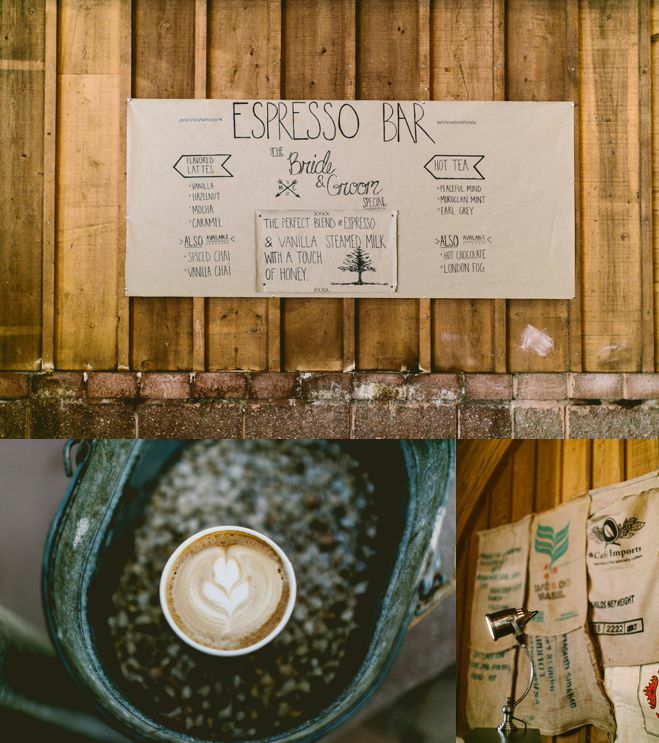 With the demand for high quality coffee climbing, options for espresso catering are multiplying. This can create a delicious (and adorable) focal point at your reception. 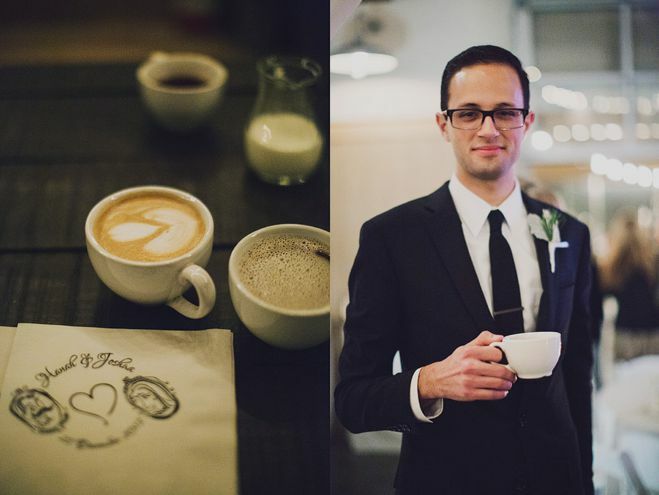 If you're dying to offer your guests a Cappucino Italiano or 12 oz. Costa Rica pour, there are a few different ways to go about it. First, check with your caterer or reception venue, as many sites may offer this option. If not, you will need to get a little more creative. 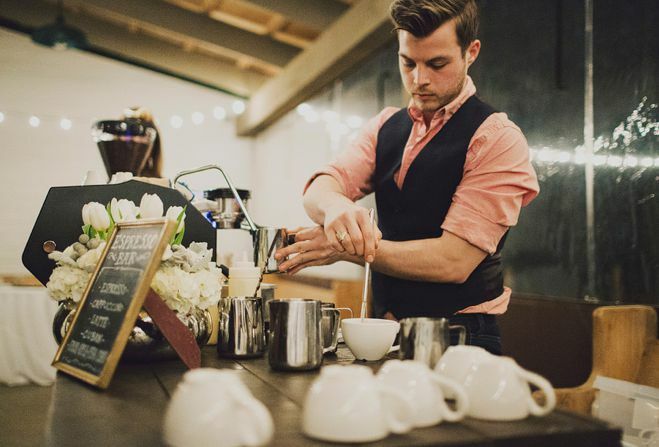 Many coffee slingers now offer their espresso services on the go. 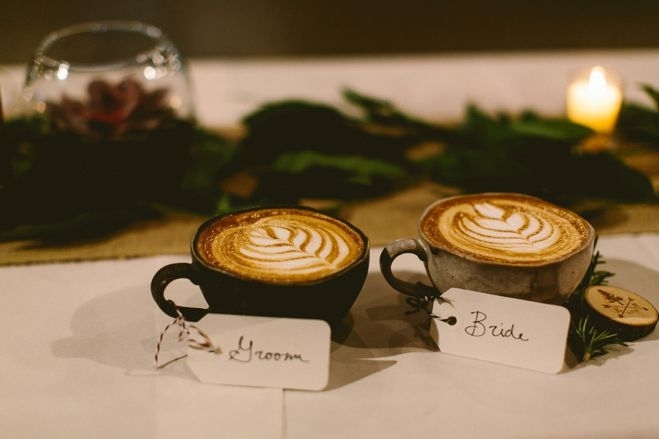 Contact your nearest specialized coffee caterer and you will be able get a machine and designated professional barista(s) to create hand-crafted beverages for you and your guests. Bonus: Almost all of these talented folks execute beautiful latté art, a big hit with beverage recipients that will offer some charming photo ops. You can also check with your barista about creating a custom flavor for you and your beloved, much like a signature cocktail. Try lavender/vanilla for spring, honey/cinnamon for something sweet, or ask your professional for ideas.